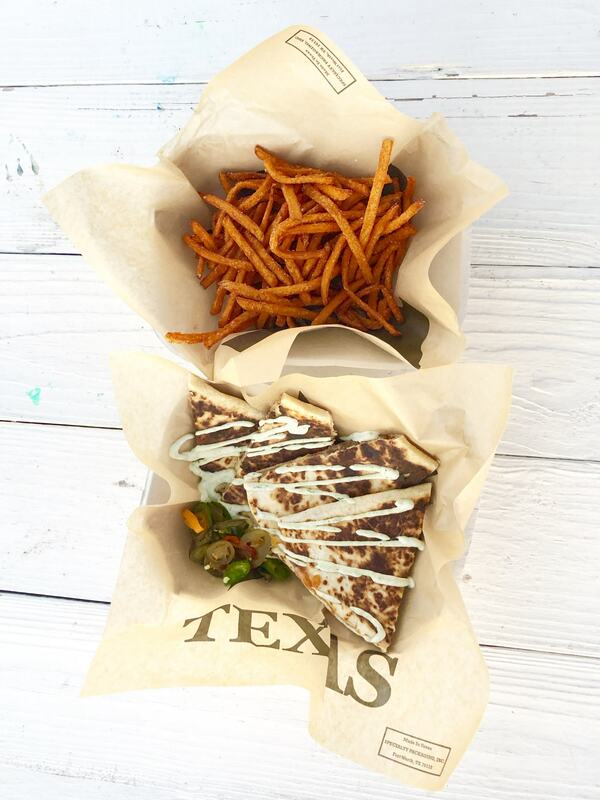 The food truck craze continues to make it’s way to the Brazos Valley. I found a Southern comfort dream at The Crafty Pig Food Truck this week at the Lake Walk Town Center in Bryan, Texas. 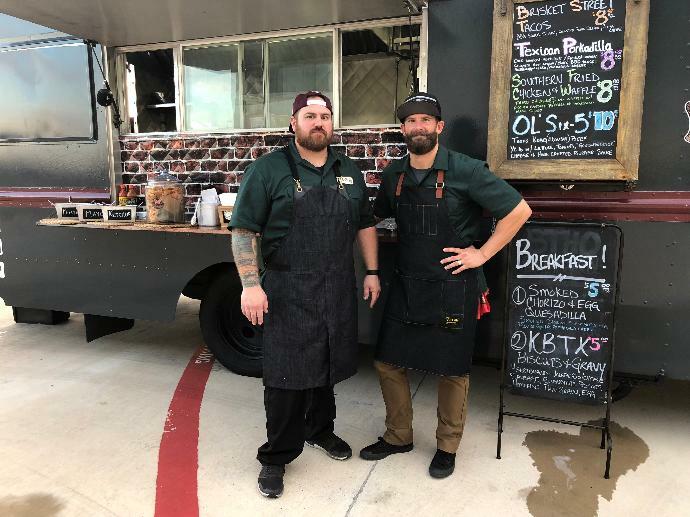 Local chefs, Brad Dees and Cody John recently opened The Crafty Pig Food Truck and they are busy tearing up the roads in the Brazos Valley bringing locals their delicious southern style food creations. Once I made my way to the window, it was tough to even choose because the menu was so awesome, everything just sounded delicious. After changing my order at few times, I ended up trying the Southern Porkadilla filled with oak smoked pork, grilled onions, cheese and BBQ sauce. I’m glad I had my friend Lauren with me because I would have consumed the whole thing! The Southern Porkadilla just wasn’t complete until I added an order of shoe string sweet potato fries garnished with sea salt. Honestly I didn’t even need the ketchup I grabbed at the window because the flavor of the fries stood alone. If you want to find The Crafty Pig Food Truck’s next stop you can follow the truck on Facebook, Instagram and Twitter for all of their local stops. They do a great job of releasing the menu ahead of time and giving you a look at the southern food they will be cooking up that week. If you want to learn more about Chef Brad and Chef Cody, check out KBTX Media’s interview with the duo. 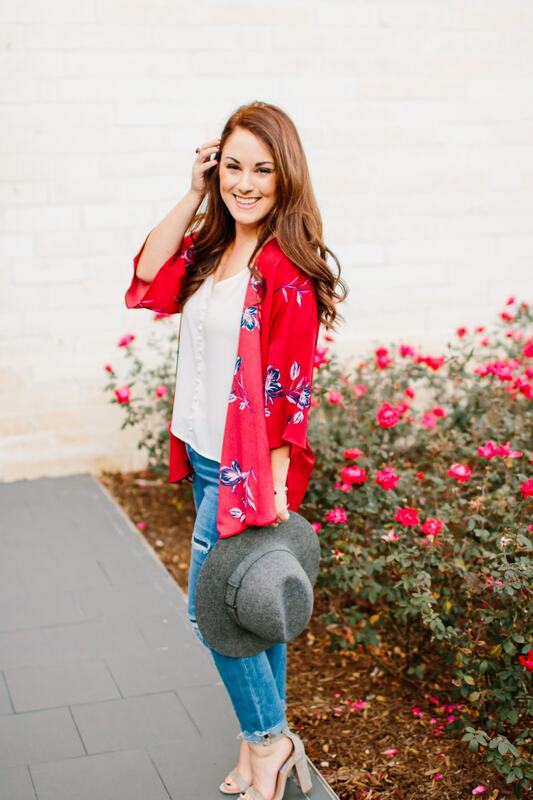 Previous Post What’s a Career Retreat?